The distinctive black and white orca, or ‘killer whale’, is the largest member of the dolphin family – an adult male can grow to nine metres long and weigh a colossal 10 tonnes (the equivalent of nine cars or 133 people!). 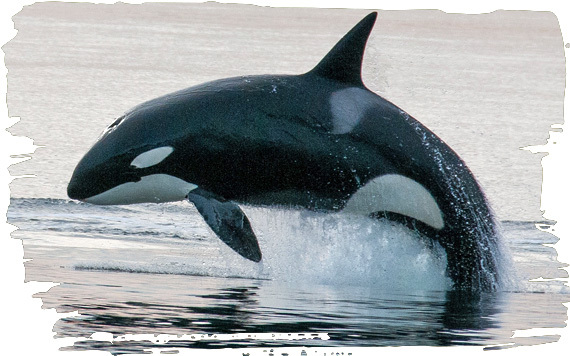 Streamlined and powerful, the orca is perfectly adapted for marine life and one of the ocean’s fastest mammals (reaching 56 km/hour). Orca are under threat, both in the wild, from fishing nets and pollution, and in captivity from exploitation by the ‘entertainment’ industry. We are opposed to the keeping of orca in captivity and work with like-minded organisations to raise awareness about the plight of orca in captivity. Funds from your adoption will help support our work with Orcalab, monitoring wild populations and campaigning to release those in captivity. Throughout the world countless orca, as well as dolphins and whales, are exploited in marine parks and ‘swim with’ tourist attractions. 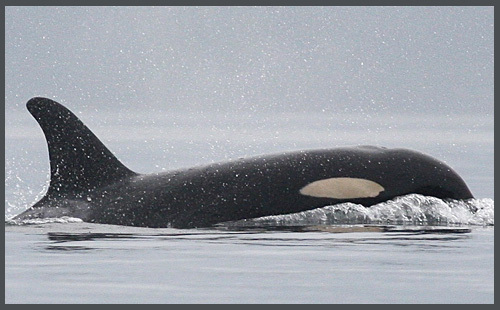 You can help protect wild orca by adopting Springer below. As a calf, Springer lost her mother and was too small to survive alone. The entertainment industry wanted her in captivity, but she was rescued and reunited with her wild family pod. Help us provide the protection she needs.